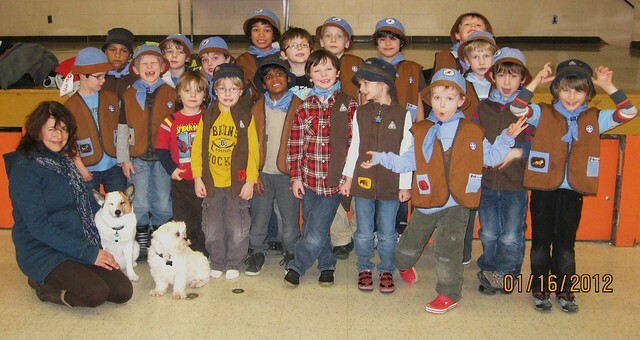 On January 16, EHS Humane Education volunteer Laurie Burnett, assisted by her two dogs Pippin and Niska, conducted a Humane Education workshop with the 4th Lakeshore Beavers (app. ages 5 to 7) at their regular evening meeting location at St. Leo’s Catholic School. The group learned about EHS, what it means to be “kind”, and with the use of our typical “Humane Pet Care Tool Kit” (food, food bowls, toys, grooming items, and more), Laurie explained proper pet care, both physical and emotional. 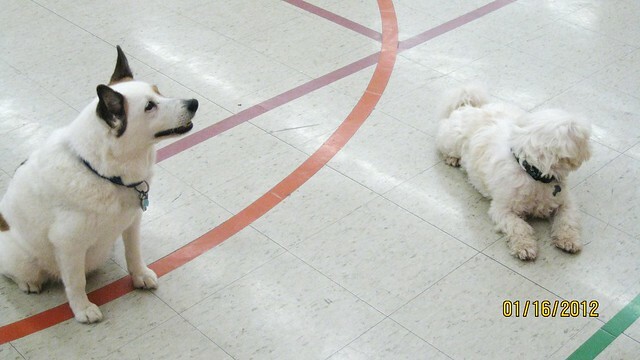 Because young children are the most frequent victims of dog bite incidents, all of our workshops with this age group include a bite prevention component. Our approach has always been to instill caution, without instilling fear. To do so, we approach the subject through discussing and demonstrating emotions that animals and humans have in common, how we use sounds and physical body language to express emotions, and how to recognize related warning signals. This leads to more detailed bite prevention tips and demonstrations. Our thanks to Iain Dwyer of the 4th Lakeshore Beavers for his invitation. 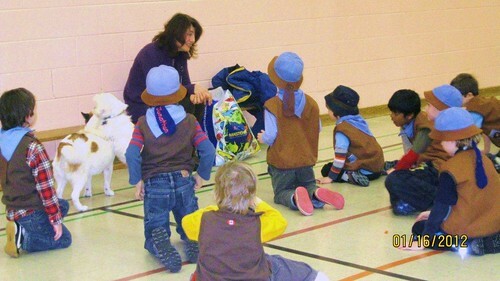 In the not too distant past, we did workshops with other 4th Lakeshore Cubs, Scouts and Beavers groups, and always look forward to sharing with them. Note: Anyone interested in learning more about or volunteering to conduct humane education workshops in Etobicoke-area schools, daycare centres, with Guides, Scouts, youth groups and/or adult audiences, please contact Maria at EHS at 416-249-6100; or directly at 40acrewoods@rogers.com.